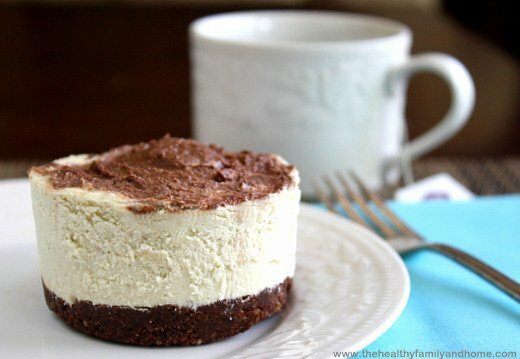 This dairy-free Raw Vegan Chocolate Marbled Cheesecake has a healthy twist to it that may come as a surprise. It’s a good surprise, but one you wouldn’t expect in a cheesecake recipe….zucchini! If you’d tried any of my other recipes, there are several that have zucchini in them, but you’d never know. One is the Vegan Flourless Zucchini Brownies and another is Raw Zucchini Hummus. 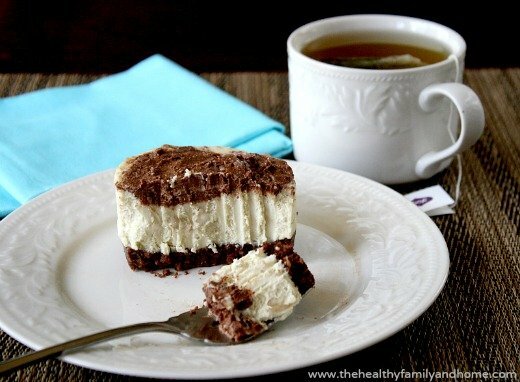 This healthy cheesecake version is raw, gluten-free, grain-free, dairy-free, paleo-friendly, no-bake and has no refined sugar and is extra special because it has a chocolate crust. 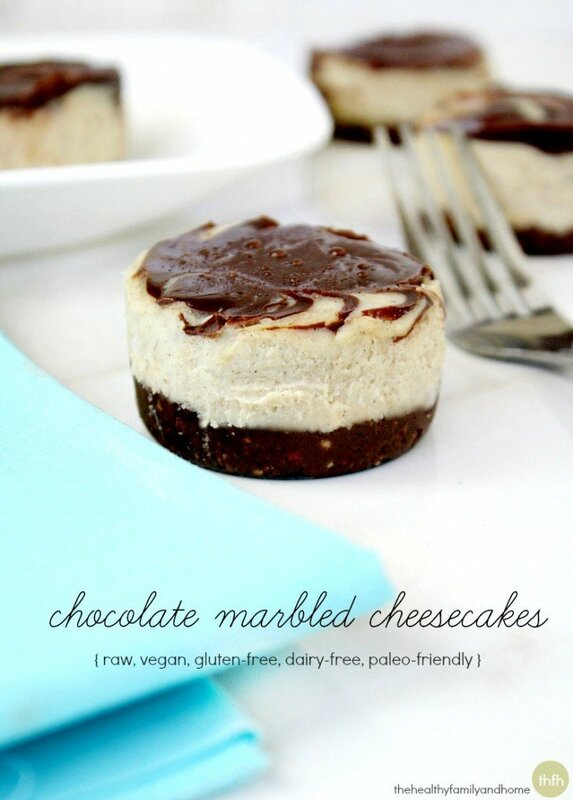 It’s the kind of dessert you can feel good about eating, unlike a traditional dairy-filled cheesecake. 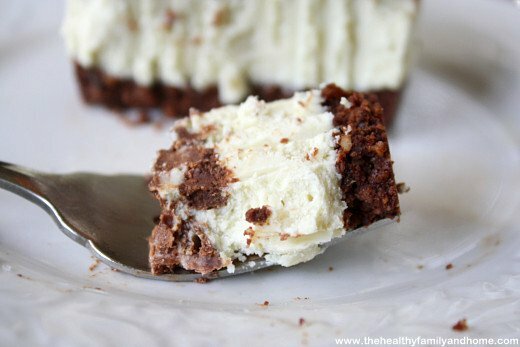 Ingredients: chocolate cookie crumbs, butter, 2 1/2 pounds of cream cheese, 1 3/4 cup sugar, 3 tablespoons white flour, 2 egg yolks, 5 eggs, 1 cup sour cream and 6 ounces of semi-sweet chocolate. That’s a whole lot of dairy! 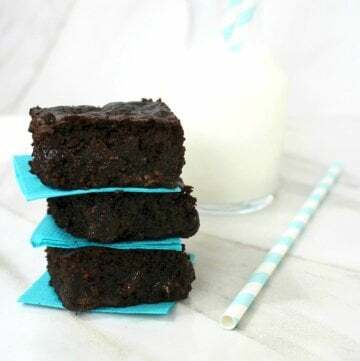 Where to Buy: If you have trouble finding any of the ingredients or tools to make this recipe, you can order from Amazon and have them delivered straight to your door and you’ll be supporting The Healthy Family and Home website at the same time! 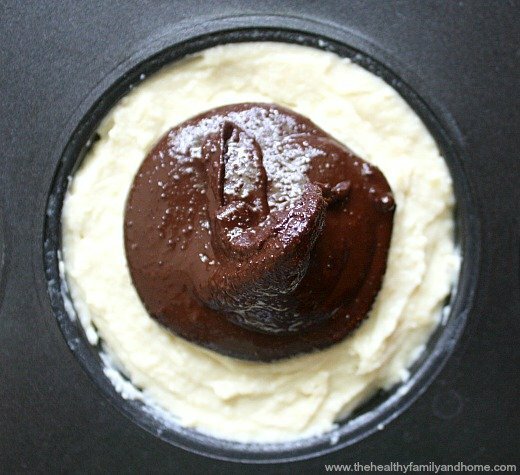 Tip #1: This recipe is enough to make 4 large-sized individual cheesecakes in this Norpro Small Cheesecake pan or 12 small-sized individual cheesecakes in this Norpo Mini Cheesecake pan. 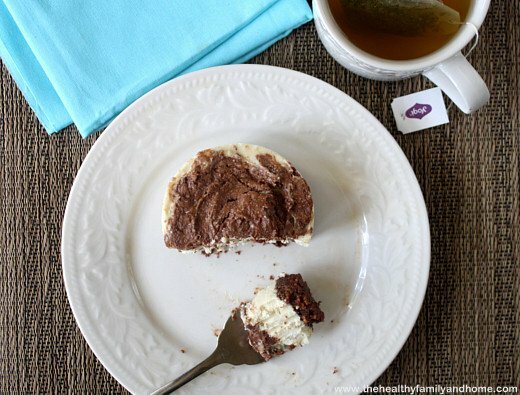 Tip #2: You can use the sweetener of your choice in the crust, filling or the chocolate swirl. 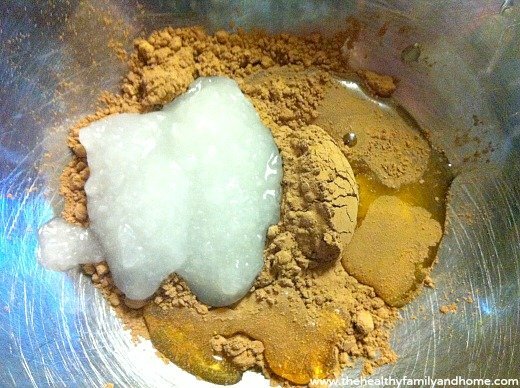 I’ve used medjool dates (2 large dates), raw honey, maple syrup or for a lower glycemic sweetener you could use raw coconut crystals or coconut nectar and all of these options have worked fine. 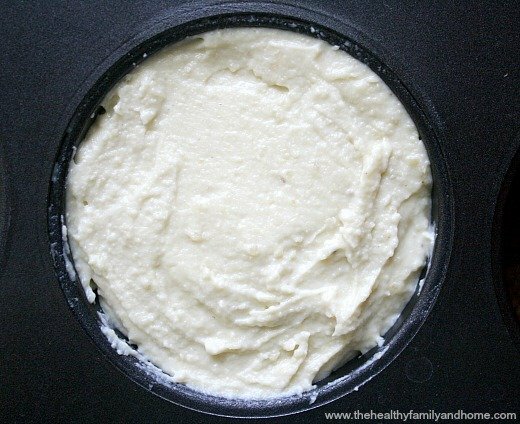 Tip #3: You can use either organic vanilla bean powder (best choice! 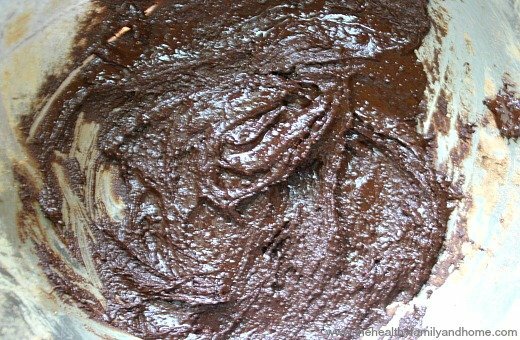 since it’s a raw dessert) or regular vanilla extract but if you use the vanilla bean powder, it may have a slightly darker color and/or vanilla bean powder flecks in it (kind of like in vanilla bean ice cream). 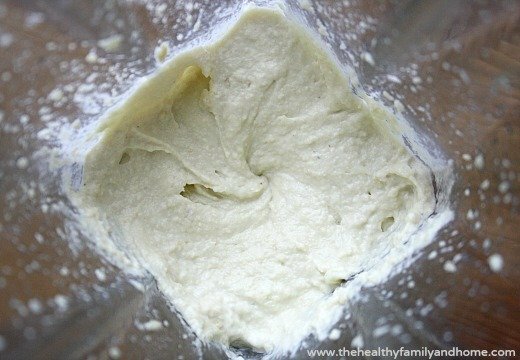 And don’t forget, you only have to use 1/2 as much of the vanilla bean powder as you do vanilla extract. Step 1 Put all the ingredients for the crust in a food processor and process until a wet and crumbly texture. Divide evenly into a 12-cavity mini cheesecake pan and press down firmly. Step 2 Peel and dice the zucchini. 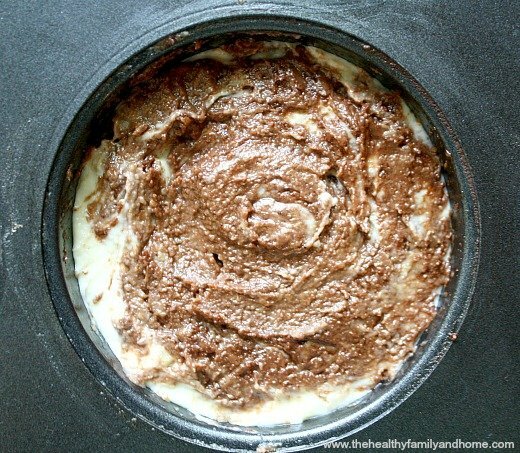 Put all the ingredients for the cheesecake filling into a Vitamix and blend until a smooth and creamy. 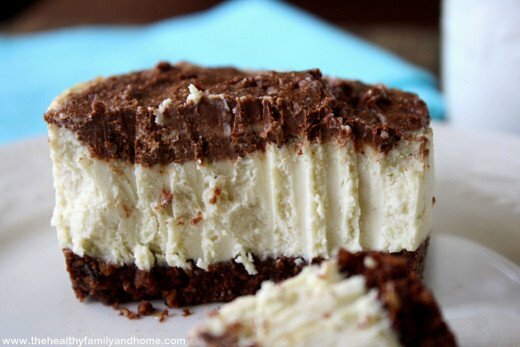 Remove the cheesecake pan from the freezer and evenly distribute the filling on top of each crust. Step 3 Put all the ingredients for the topping in a small bowl and stir until creamy and well combined. 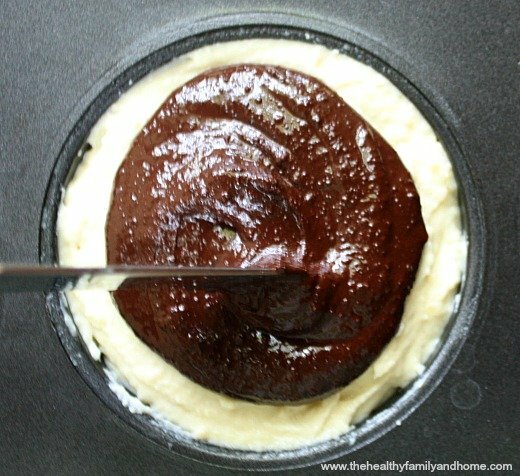 Step 4 Put small dollops of the topping on each cheesecake and swirl it in a circular shape using the tip of a knife. Put the cheesecake pan back in the freezer for approximately 2 - 4 hours, or until the cheesecake hardens. Store in the refrigerator until ready to serve. Do not leave out a room temperature because they will become soft and lose their shape. Hi there Matea! 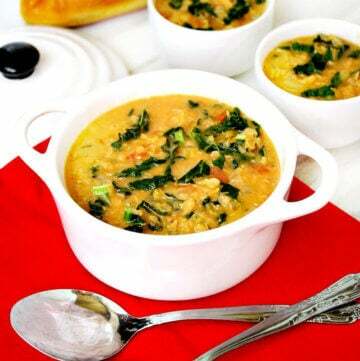 I know…I love how you can add that extra nutrition in without it affecting the flavor at all! Just made these this past weekend. Delicious! I doubled the recipe and put it in medium-sized muffin tins which gave me 24 mini cheesecakes. 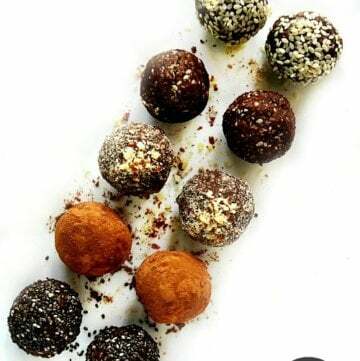 So far, I’ve given them out to 10 “taste-testers” who absolutely loved them. I’m curious about the zucchini. Is it integral to the success of the recipe, or is it added just as a healthy ingredient? Thanks so much for sharing this, Karielyn. Hi there Ann! 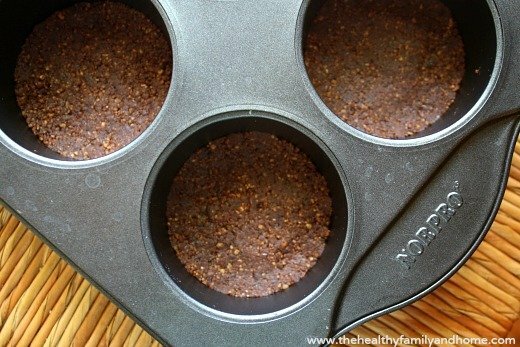 I’m so glad to hear you enjoyed the recipe and using the smaller sized cups was a great idea too! I think the zucchini might be in there for extra creaminess and nutrition because some of the other raw/vegan cheesecakes I’ve made use only cashews (no zucchini) so because of that I know it isn’t an essential ingredient in a raw/vegan cheesecake recipe. 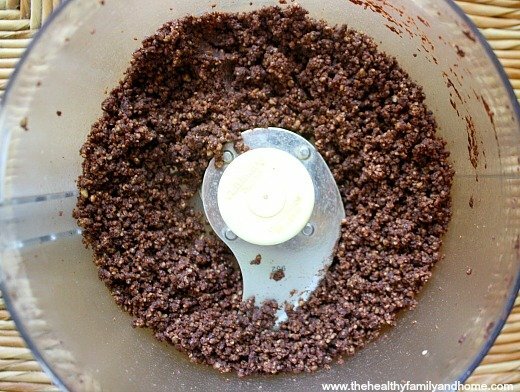 I see in your picture for the crust that it looks like you have a couple dates in the food processor, I was just wondering if you added those in or if that’s what you used as your sweetener. If you did use them as your sweetener, how many did you use and do you recommend this over maple syrup or honey? Thanks! This recipe looks great! Def going to try it out! Hi there KC! 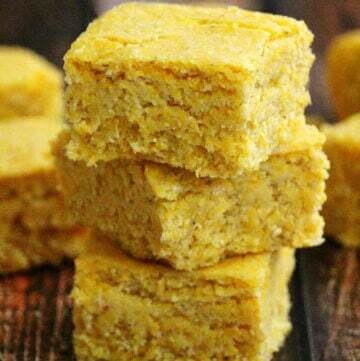 I usually alternate between my sweeteners sometimes, especially when the recipe is flexible like this one. I have used both dates and maple syrup as the sweetener for the crust and in this recipe, I used (2) large pitted medjool dates. 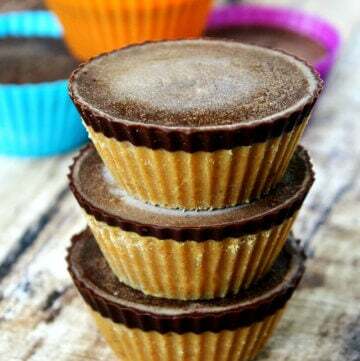 I prefer the dates (when I have a choice) since they are a little lower in sugar content and since there is additional sweetener in the filling and chocolate topping. And, because I don’t like my desserts too sweet. But feel free to use whichever you have on hand or prefer, both will work. 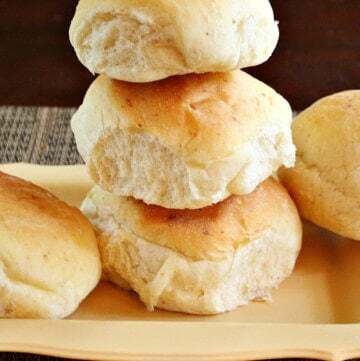 These just look so yummy! I love that they’re already individual sizes. Hi Keri! Thanks so much for the kind comments! 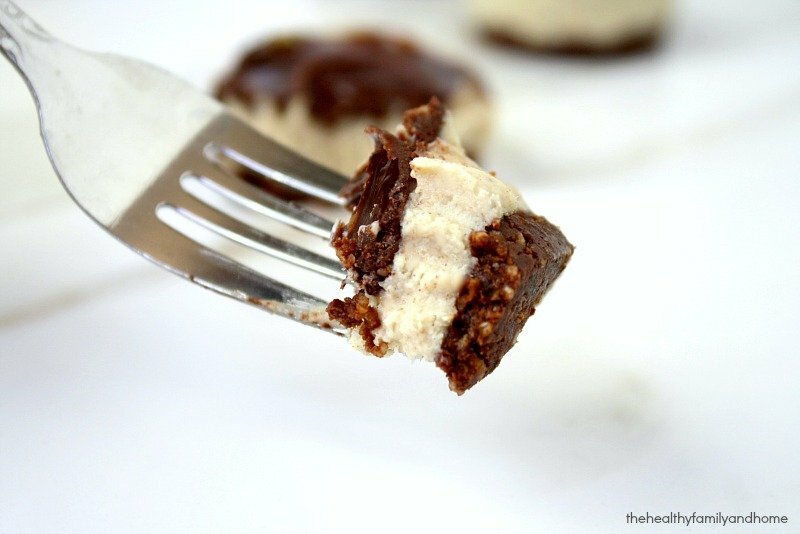 I, too, like the mini cheesecakes because they are also great for portion control! These are made in the larger 6-tray pan, but I also recently got a 12-tray pan and they are even smaller and cuter. 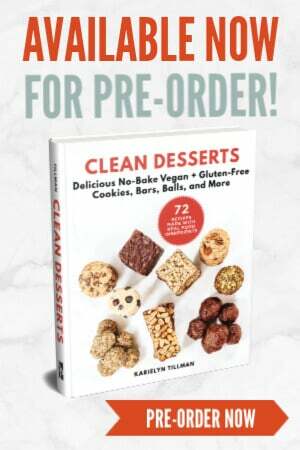 I’m usually leery about raw desserts and have only made a few myself, but this looks really awesome! I love the five facts that you included about all the ingredients. I’m by no means vegan for my health but it’s good to know that even the little stuff has health benefits. Hi there! Thanks so much for the feedback about the ingredient/nutrition facts! I particularly like to know what’s in the foods I’m eating or more importantly, what’s not in my food (ex. unhealthy ingredients, preservatives, chemicals, etc). I find that by knowing the benefits of a particular ingredient, I am more likely to add it into a recipe where I wouldn’t have otherwise. 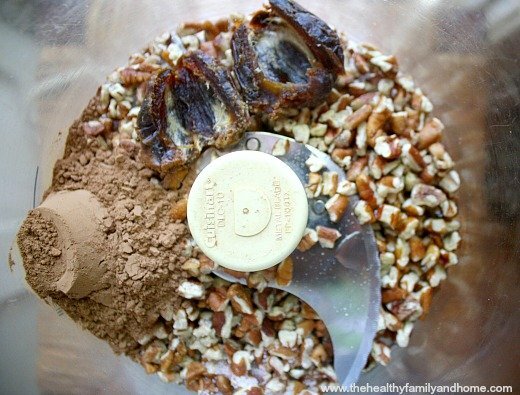 Could you use almonds in place of cashews? Hi Sienna! 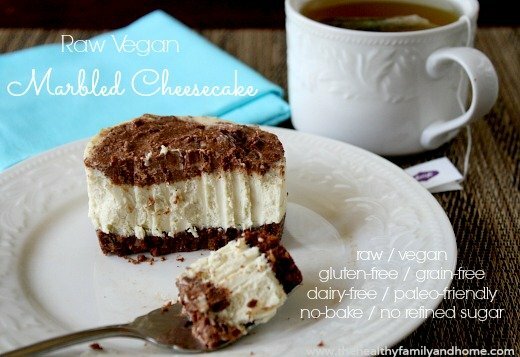 I’ve never used almonds to make a raw/vegan cheesecake, so I’m not sure it that would work or not. 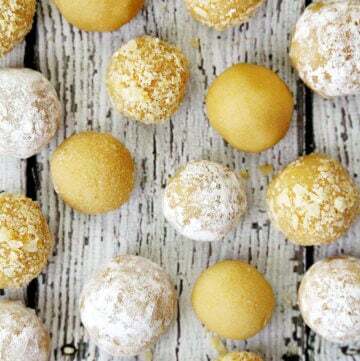 I have used macadamia nuts and they work really well, but you really need to like the taste of macadamia nuts because the taste as strong whereas with the cashews, it’s a more neutral flavor. 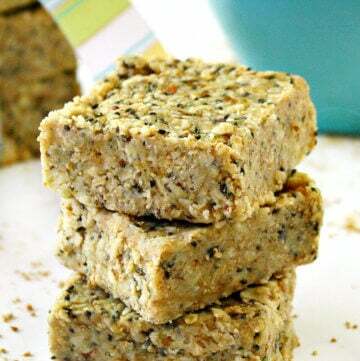 If you needed it nut-free, you could also try to find a tofu recipe to replace the nuts. How many cupcake spaces does this recipe fill?